Markus Lüpertz was born 1941 in Liberec, Bohemia. From 1956—1963 he studied at the Werkkunstschule Krefeld and the Academy of Arts, Düsseldorf, where he was director from 1988 to 2009. 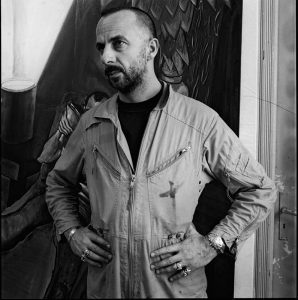 Markus Lüpertz works as a painter, graphic artist, sculptor, poet and set designer and is considered to be one of the most influential of Germany’s contemporary artists. He works in Berlin, Karlsruhe, Düsseldorf and Florence.